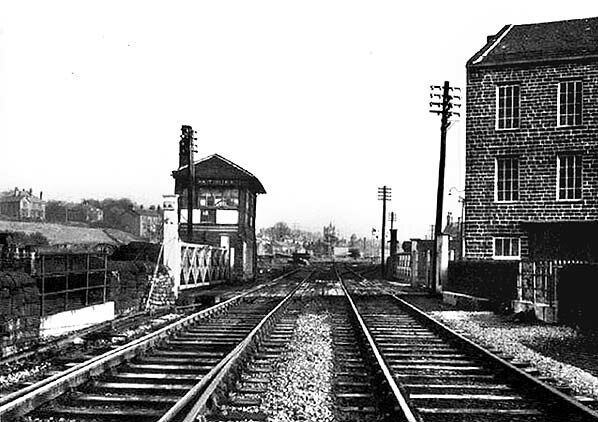 Looking north towards Rawtenstall station in 1956. To the right of the line on the far side of the level crossing was the goods yard that served Rawtenstall. In its later years and up until the end of 1980 it was a rail served coal depot. The station itself was beyond the yard. The New Hall Hey Road level crossing is in the foreground.